A pet insurance campaign from Australia is taking an unusual approach to getting people thinking about insuring their animals. It's highlighting their accident-proneness by designing a fun series of products for injured pets. Included in the campaign, by the Royal Automotive Club of Victoria (RACV) is a wheelchair for a dog that's been souped-up courtesy of Dennis McCarthy, picture car coordinator for the Fast & Furious. There's also a lion mane-style cat cone designed by Tim Chappel, costumer designer on "Priscilla, Queen of the Desert"; a canine cast designed by renowned tattoo artist Gareth Davies and bandages designed by heavy metal illustrator James Jirat Patradoon. In addition to the fun videos, seen here, RACV has gifted 4,000 of the bandages and 800 lion mane cat cones to Lort Smith animal hospital. 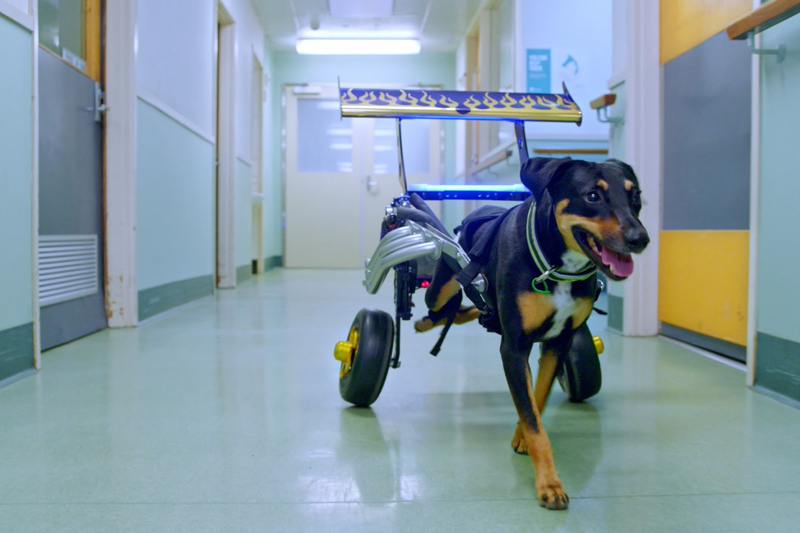 The wheelchair was made for one dog in particular, a pooch named Lady, because it had to be completely custom made. (You can take a look at how it was made in the Behind the Scenes film below). The campaign, by CHE Proximity, is designed to raise awareness of under-insured Australian pets, as 94 per cent of Aussie pet owners don't have cover. As well as the products, it spans online films, OOH, PR and digital advertising.